THOUSANDS of residents in the Spen Valley have Liversedge in their address – but few know where the area starts and finishes. 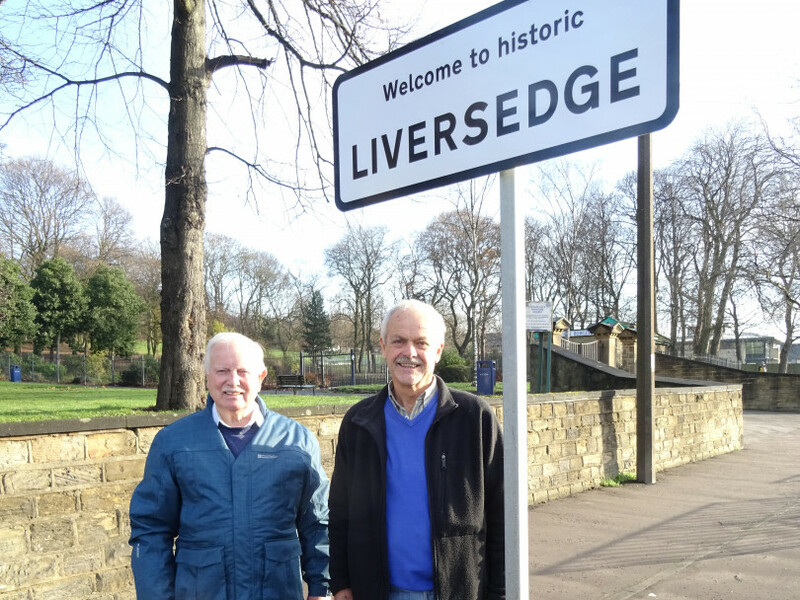 This week, though, Spen Valley Civic Society celebrated the installation of signs on five main roads, marking the boundaries of Liversedge. President David Durrans said: “We are very pleased that Kirklees Council has agreed with the society’s request for signs. Society chairman Max Rathmell has thanked Kirklees officials and ward councillors for supporting the initiative. Max said: “Liversedge was so prosperous and important that after the Norman invasion in 1066, William the Conqueror gave Liversedge to his knight Sir Ilbert de Lacey, as a reward. “Liversedge Robert (now Roberttown and Norristhorpe) came under the rule of Robert de Liversidge and his descendants, the Neville family. “They resided at Liversedge Hall, which you can still see on Liversedge Hall Lane. Their hounds were kept in kennels at Norristhorpe (still called ‘Doggus’ by locals), and their deer park for hunting was the area around Liversedge Park Farm and Ponderosa. “Other parts of Liversedge were Liversedge Essolf, (or ‘Long Liversedge’) – now Hightown – and Little Liversedge – now Littletown. “The lord of the manor at Liversedge Essolf lived in Lower Hall, which was off Halifax Road (now the site of a newsagent’s and Lower Hall Lane).